Have US donations in the campaign to fight malaria been responsible for saving the lives of up to two million children in Africa? Foreign aid often faces the accusation of not being cost efficient, or poorly directed. In many cases there are a lack of follow up studies analysing the impact of the donations. A study published in PLOS Medicine is the first to analyse the impact of the US malaria initiative. The findings of the study have been overwhelmingly positive. 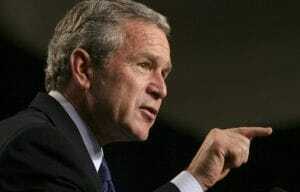 The President’s Malaria Initiative (PMI) was established in 2005 by then-president George W Bush. The intention of the PMI was to reduce malarial disease burden by 50 percent across 15 countries within Sub-Saharan Africa. The initial focus following the implementation of the PMI was in three countries: Angola, Tanzania and Uganda. This was at a time when the budget was only $30 million. By 2008, at the end of George W Bush’s presidency the budget had expanded to $296 million, and extended its reach to 15 countries. This expansion would continue throughout the presidency of Barack Obama. The budget had been increased to $619 million by 2015, greatly expanding the scope of the project to four more Sub-Saharan nations as well as the Mekong subregion of Southeast Asia. President George W. Bush, who created the PMI. Studies directly into the outcomes of specific foreign aid initiatives are limited. A PLOS Medicine study offers an insight into whether US donations have actually had a measurable impact on malaria burden in recipient countries. The study focuses on child deaths from malaria in the 19 recipient nations, compared to 13 non-recipient nations also affected by the disease. Importantly, the study implements controls in the calculations to account for other large anti-malaria funding initiatives. The main finding of the study was an average of 16 percent fewer child deaths from malaria following the implementation of PMI. This changed overall disease burden on average from 28.9 per 1,000 person-years in PMI countries before program implementation to 24.3. About 1.7 million babies and toddlers have been saved since the programme’s inception, said Harsha Thirumurthy, a health economist at the University of North Carolina at Chapel Hill and the lead author of the study. His group only included lives saved in the age group of five and below, the number of people saved as a result of the programme over the age of five is likely to far exceed this figure. The population coverage of insecticide-treated nets was found to have increased by 8.34 percent following the implementation of the policy, likewise coverage of indoor residual spraying was also found to have increased by 6.63 percent. More modest increases were observed for artemisinin-based combination therapy coverage, showing only a 3.56 percent rise. The World Health Organization (WHO) acknowledges that around 6.8 million deaths due to malaria were prevented over the 2001-15 period. To credit this all to the PMI would be inaccurate, ignoring the contribution of other governments and NGOs. The study would however suggest that the PMI has certainly played a role in reducing malaria burden. The election of Donald Trump to the office of President has cast a number of policies into uncertainty. Foremost amongst these has been foreign aid. 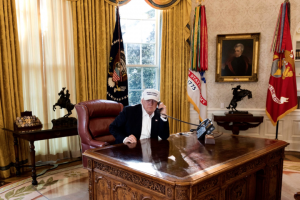 His isolationist approach to making America great again has left many in doubt for the future of a number of policies. His “skinny budget” proposals have placed foreign funding at the top of the cuts list. The PMI however, is not an Obama-era policy. Instead, it was a Republican initiative put forward by President Bush that enjoyed bipartisan support. Many would have expected it to be afforded some degree of protection. This may not be the case. Trump has indicated within his budget that he wishes to cut malaria funding by up to 11 percent. Some suggest that the proposed foreign aid budget is likely to be changed by Congress. However, though it is likely a safe policy, this is no guarantee of equal funding by the end of the Trump presidency. The future of the PMI under President Donald Trump is uncertain. 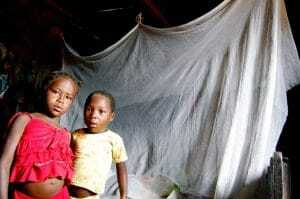 To reduce the funding would endanger lives and risk progress towards the elimination of malaria. It may also further damage international relations, adding to the impact on world relations after the withdrawal from the Paris Agreement. Dr. Eran Bendavid, a health-policy specialist at Stanford University notes that countries that receive such aid have overwhelmingly favorable views of the United States. The WHO aims to reduce malaria rates globally by 90 percent before a deadline of 2030. This guideline incorporates a 90 percent reduction of mortality rate, as well as the elimination of malaria in 35 countries. This would leave malaria prevalent in only a handful of countries and so far easier to control. Monitoring would take place to ensure there were no resurgences in countries which have achieved elimination. The goal is indeed achievable, but requires the cooperation and involvement of governments and charitable organisations. The vast majority of cases occur in countries whose financial situation would not allow them to make a large scale coordinated attempt at eliminating the disease. Trump’s intent to reduce funding to the PMI could become a major hurdle. While consistent research and innovation play a major role in the combatting of malaria, the scaling up of tried and tested methods that the PMI incorporates are also vital. The PLOS Medicine investigation into the effectiveness of PMI highlights this. While malaria has been shown to be in decline, this should not distract from the fact that millions are still at risk. WHO estimates from 2015 claim approximately 214 million cases of malaria infection, responsible for the loss of approximately 472,000 lives. These figures alone demonstrate that the PMI is invaluable.